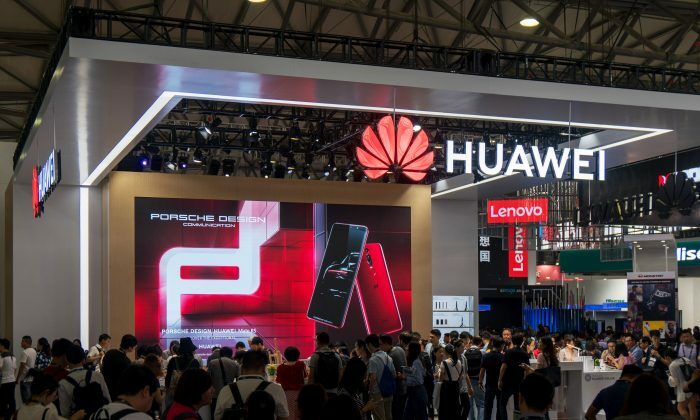 PRAGUE—The Czech cyber watchdog warned network operators on Dec. 17 against using software or hardware made by Chinese telecom equipment suppliers Huawei and ZTE, saying they posed a security threat. Huawei, the world’s biggest producer of telecoms equipment, faces intense scrutiny in the West over its ties to the Chinese government and concerns its equipment could be used by Beijing for spying. The company has repeatedly denied the allegations. “China’s laws … require private companies residing in China to cooperate with intelligence services, therefore introducing them into the key state systems might present a threat,” Dusan Navratil, director of the Czech National Cyber and Information Security Agency (NCISA), said in a statement. System administrators in critical information infrastructure, whether in the state or private sector, should take “adequate measures” against the threat, Navratil said. A call to ZTE’s office in London was not answered. U.S. government officials have been pressuring Deutsche Telekom, the majority owner of T-Mobile US to stop using Huawei equipment, sources say. New Zealand’s intelligence agency last month rejected a telecoms provider’s request to use Huawei 5G equipment and Australia has banned Huawei from supplying 5G equipment. Both countries cited national security concerns. The arrest of a top Huawei executive in Vancouver, Canada at the request of U.S. authorities on Dec. 1 has sparked a diplomatic dispute. Meng Wanzhou, Huawei’s chief financial officer and the daughter of its founder, faces U.S. allegations that she misled multinational banks about Iran-linked transactions, putting the banks at risk of violating U.S. sanctions.